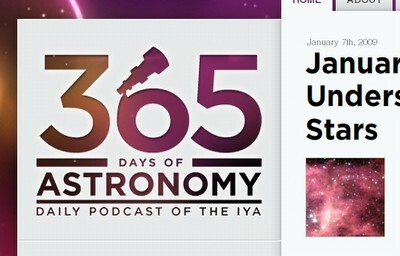 The blog has moved to my own domain and can now be found over at http://www.danielwestrom.se/blog. Also my portfolio is up and running http://www.danielwestrom.se. Dont forget to follow me on twitter. 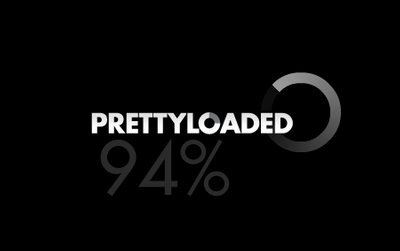 A collection of lots and lots of cool flash preloaders over at pretty loaded. Did you make a cool proloader? Please make a comment about it. And another one as a bonus. Smashing Magazine writes a whole hell of alot good articles. Here's one about webdesign trends for 2009. I think they are pretty spot on. The challange now is to not get to influenced when making new stuff. The scarry part is that one actually allready where thinking about lots of those trends and think that they all look pretty darn good. It's all about using them in creative new ways. I'm getting a bit stressed over the work in school, still much that needs to be done. We had a nice Christmas-spirit-hangout today and that is always appreciated and welcome. Great lectures today one of them was about self promotion on the web and had some really interesting thoughts. I'm happy that I took notes. There is something about Thursdays here at hyper. Just like the Thursday last week there's more laughter and less work. But I think we need those kind of days from time to time. Nontheless we created a survey to get some answers from the possible customers or users of our concept. The survey was a great success with over 100 answers in about an hour! 8.58! The lecture starts in 2 min. My neighbours dogs barking had just woken me up. I pick up my cellphone and the battery is dead... I quickly turn on the tv to se the outcome of the american presidential election. Obama wins. Okej so one positive thing. I rush towards school. Somehow I arrive to älvsjö at the time when you have to wait 30 min för the buss instead of 3. Great. I for some reason look into my wallet and notice that I dident bring my buss ticket. WTF! Up again to the train station to buy a minimum amount of tickets for 180 SEK. That's like three lunches. In the building where the lectureroom is located the elevator doors open at floor 12 and I meet my classmates. The lecture is over and they tell me that it's great. Great... Well everything whent better from there. I've completed our personal asignment and were able to go home a little bit earlier today. Tomorrow we are working on our group assignment again. We need a name and lots and lots of more research. That reminds me we also had a good lecture about what to research about, or how you know what to research. ET08 is done and C&D has begun! I'm verry satisfied with my group, our idea and our end product. I't felt really awsome and we recieved alot of positive feedback. The excibition was a great success aswell, lots of people showed up and my teammates that arranged sponsors et did an awsome job! Thanks! And now our next module is on the way! Concept & Development that is. Alot of ideagenerating and great lectures. Oh boy! I forgot about this blog. Sorry. We have been up to so much I dont even know were to start. 370 degrees held a workshop with us in creative thinking and at the end of the day my group came up with what we wanted to do with 900.000 km2 in India. Our idéa was an marine university with fishingschools etc. We have started our experience technology course. We started up by making a concept in just one day. We made a huge touchscreen floor concept were people were able to share pictues on the floor. We have had a couple of workshops one mobile workshop with Stephanie and another in sound design. But all my power right now goes to our big project. My group is working with RFID and we have a pretty good idea I believe. We are making a game and I'm designing the interface with Johan. So sparkling new notebooks from apple on theusday right! Oh that reminds me I signed up for the apple developer world tour in Stockholm december 8. 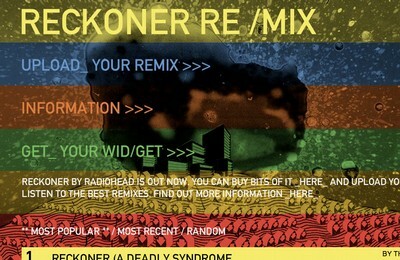 You gotta love what Radiohead is doing to the music industry. A bunch of inspiration for you! 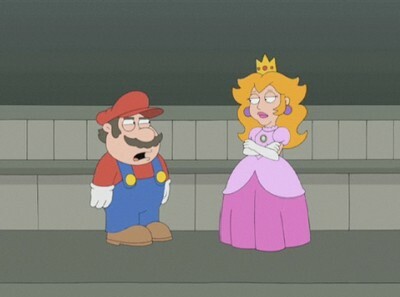 The creator of Family Guy and American Dad is now involved in a new project http://www.sethcomedy.com/. This is the reason why: A verry intence motionweek, with programming and animation in Flash and After Effects. Former Hyper Island students now working at the biggest motion and animation bureus in Sweden, such as Beereel and Acne digtial. They've been to great help and have had gret patience in us. We have had some fun working by ourselves and in groups. Flash animations, and video animation. I will put my work up as soon as possible. Today Ted Persson paid us an visit. Ted is one of the founders of greatworks. He talked about their approach to digital media and some of their biggest clients. At first he talked about the beginning of the internet and the changes up til today. Greatworks has an interesting model that they use. they try to simplify the word internet by calling it a big city, or in fact the largest city in the whole wide world. The city is then divided into smaller areas and these areas are such as Nich media, E-commerce, dicussion forums etcetera. Then Ted presented their biggest client Absolut Vodka. They have worked with them for 9 years and he showed us some great advertising and thoughts about the advertising itself. Another lecture yesterday and yet again about trends (not that it is uninteresting i any way). This time Katarina Graffman from inculture. She is has started her own company (January 2008) and work as a trendspotter. Her company then provides solutions to companies based on the sightings they make. One working method that they use is that they actually live with people in their homes and analyze their behaviours! Big Brother? The lecture was mainly about youngsters in the ages 15-20. I got some information that I allready knew but also some interesting new ones. The lecture felt a little stressfull due to the lack of time and mass of content.